From time to time it is a good idea to step back and ask ourselves "Why Are We Doing This?" Why do we fly to help those in need, or build organizations to support those who do? We often get so caught up in what we do or how we do it that sometimes the why gets lost in the process. Craig Fuller took note of this in his last First Monday column (Thanks, Craig!). For many of the pilots the "why" boils down to an expression of gratitude for having such a special privilege and so many wonderful flying experiences. After all, only about one in 500 people in the U.S. flies, and that ratio is far, far worse in the global population. We love flying and want to share that experience, and being able to help folks while doing it is another - maybe the biggest - part of the "why." So our individual vision, and that of our groups, should let the "why" flow over into all that we do. The means should always be subservient to our vision. So that brings us to the "how." Many of our most ardent supporters are successful business people, and they often push hard for our groups to be businesses and operate as such. Often the justification is having enough resources and control over the environment in order to be successful. 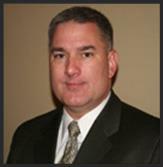 They are absolutely right in that we must employ many business principles and methods in running our organizations. But it is a big mistake to think of them as businesses. It gets back to the "why" question. Simply put, our groups' goals are different. This was underlined for me when I was earning my MBA at UCLA - a great business school which also has a wonderful program for nonprofit and not-for-profit organizations. The goal of a business is financial success, while the goal of a public benefit organization is in successfully providing services and products which help people and solve community and world problems. In the first case money is the goal, in the second it is a tool. Running an efficient group and finding financial resources is important, but in a nonprofit group when the seeking of money takes over, watch out! Think about it. Sometimes we just need a nudge. A few weeks ago, my friend Paul Taylor called and asked if I would fly along as a copilot on an Angel Flight East flight he had picked up the following day. It was early January and the weather had been icy and dreadful but the front had passed and the forecast was for cold, calm air with fantastic visibility. It had been well over a year since I had last flown a charitable flight. Though my previous flight had gone well and was a very satisfying experience, life got in the way and I had just not thought about taking a flight. I had seen notices from Veteran's Airlift Command and I was participating in the monthly pilot committee meetings but I was largely not excited about taking any flights. Thoughts of the cost, the weather, scheduling, taking time off...all of that had conspired to keep me grounded for Public Benefit Flying. Needless to say, the flight from Gaithersburg, VA to Winston-Salem, NC for a young 11 year old and his mother were enough to get me energized again. As always, it was truly a blessing to be afforded the opportunity to serve a family that really needed the lift. The young man had a very uplifting spirit and was so happy to be flying in the plane. He just marveled at the world around him the entire flight. When we got done, Paul and I were all smiles and despite the bitter cold and wind, we were very warm inside. Upon return from the flight, I saw a notice pop up on the Veteran's Airlift Command about a flight from Virginia to Cleveland, OH. I signed up immediately! When the weather did not cooperate and we delayed a day, I was sorely disappointed when the young veteran caught a ride with a friend in a car going the same way home from the conference. This experience also got me motivated to sign up as a pilot for Patient Air Lift Services (PALS). I am now fully up to speed and ready to take my first flight with PALS. All of this convinced me that as volunteers, we need to encourage others to "come along" with us on some of our experiences. At the recent Pilot Committee meeting for AFE, we decided that each of us would take a few names from the new pilots list and make the effort to personally call them and encourage them to sign up and take that first flight. The first call I made, I spent 45 minutes answering a host of questions from the new pilot. From his responses, I could tell that he was glad to have gotten the encouragement and the answers to some of his questions. I would encourage each of you who fly volunteer flights often to seek out a copilot on some of your flights to help get them excited about volunteer aviation or to reinvigorate some of the old ones all over again. Even us old hands need a little nudge now and then. 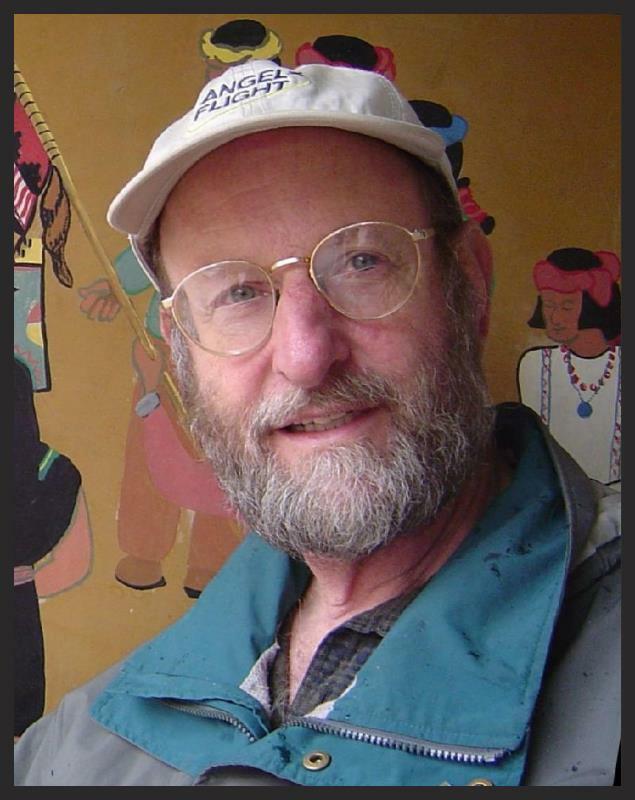 Some time ago award winning Hollywood producer and volunteer pilot Mark Wolper came to a strong conviction that the incredible work being done by all the volunteer pilots and their groups received far too little attention in the media, and among others who influence public opinion. He felt that one great thing about general aviation that even non pilots could appreciate is Public Benefit Flying. He asked, "Why don't more people know about PBF?" So he set out to do something about it. Mark collaborated with celebrities in his industry and in the aviation community to establish "The Endeavor Awards," a dazzling event to be held in Los Angeles under the Space Shuttle Endeavour. A Gala Organizing Committee was formed, and Wolper, a former Angel Flight Board member, convinced Angel Flight West (AFW) - the only aviation organization that he knew at the time - to provide seed money and administrative support. The Endeavor Awards Gala is designed to shine a spotlight on the work of all volunteer pilots. Three awards will be given to individuals who represent the personal contribution made by pilots providing their skill and aircraft for humanitarian purposes in communities across the country. Some of the luminaries already helping in this "Endeavor" include entertainment and aviation industry leaders such as Robert Zemeckis, Sean Tucker, Clay Lacy, Peter Diamandis, Bill Ayer (Chairman, Alaska Airlines), John Plueger (COO, Air Lease), three Endeavor Astronauts, Tom Gallagher (Former CEO, Merv Griffin Group and Caesars Entertainment), John and Martha King, David Feinberg (CEO, UCLA Medical Services and Center), and Greg Kinnear. In addition to the awards featuring the wonderful stories of the recipients, major entertainment from around the world, helicopter delivery of celebrities by Red Bull Pilot Chuck Aaron, and many more surprises will fill out an event that can shine the spotlight on what we all love to do. This is an event for all the volunteer pilots and their groups. The Endeavor Awards group and Mark Wolper want as many ACA groups to have an opportunity to participate, be recognized, and obtain funding for their groups. Opportunities are available for many Volunteer Pilot Organizations (VPOs) to reserve a table and, through the Endeavor Awards web site, to sell tickets to this table. The net proceeds for that table will be given directly to that VPO. The ACA Board believes that the Endeavor Awards gala provides a wonderful opportunity to promote public benefit flying and the work of the volunteers in a new venue and with a different audience. It complements the National Public Benefit Flying Awards we and the National Aeronautic Association present each year in Washington, DC. The audiences, venues, locations, and events are very distinct and this different celebration provides a whole new way to promote public benefit flying, especially among media leaders who influence public opinion. Thus the ACA Board endorses the event and encourages the public benefit flying groups to do so too. Further information can be obtained from Janet Cathcart, Managing Director of the Organizing Committee, at janetc@endeavorawards.org . And read more about the Endeavor Awards Gala at www.endeavorawards.org. Time to make plans for Air Care 2014! Click here for complete info! April 25-26, 2014 will be two great days with your charitable aviation friends and colleagues in beautiful Blue Bell (Philadelphia), PA! Lots of additional information will be sent out very soon, including your conference registration form. However, we encourage you to make your hotel reservations and travel plans as soon as possible. 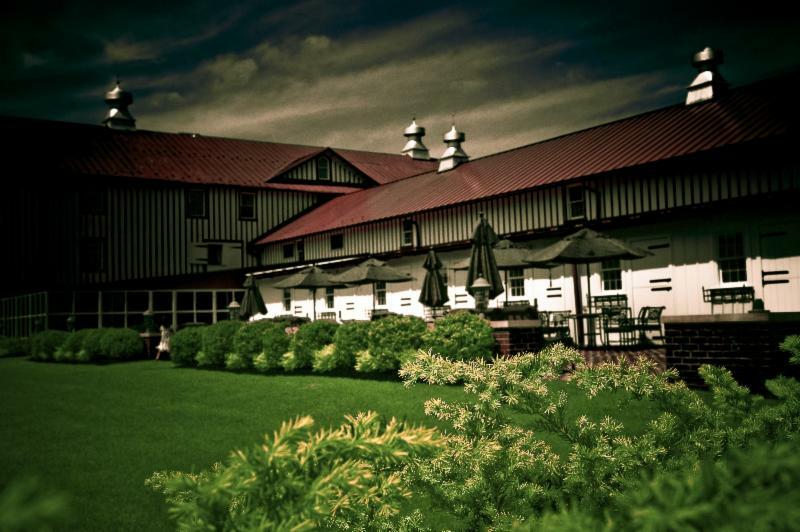 Normandy Farms Hotel & Conference Center will be the site of our 2014 conference. A special ACA rate of $129.00 per night will be available from Thursday, April 24th thru Sunday, the 27th. We strongly suggest you arrive on Thursday and join the early arrivers for Dinner and Drinks. Hotel reservations may be made by calling 215-616-8500 215-616-8500. A room block is reserved under "Angel Flight East"
THE BLOCK OF ROOMS IS LIMITED! 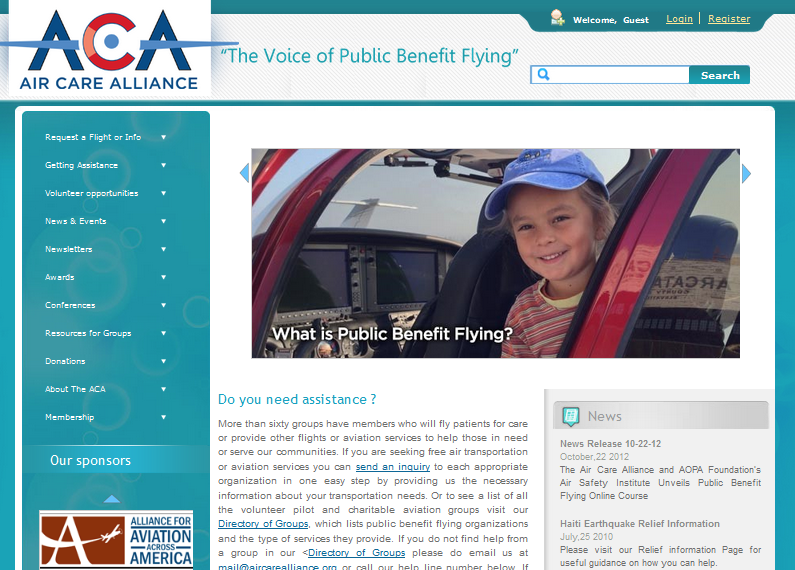 Your new Air Care Alliance website has features and information that should make it easier both for all your public benefit flying groups and also for their clients - patients, social workers, family members, nonprofit partners, and communities. It has been a long time coming, but the site went live in December and officially opened on January 1. In addition to an overall visual and navigation overhaul, the site features a wonderful interactive "Find a Group" automated referral system. Previously folks needing assistance had to wade through the very long list of groups to find those operating in their areas and meeting their needs. Now those needing a flight or other aviation services can fill out a simple form and receive back a list of groups meeting their needs. Then they can click on the button next to one or more groups and have all their information sent off for immediate follow through from those groups contacted. Soon additional features will be added, making it easier to track successful referrals and get useful feedback both from the clients and the groups. We are also updating the content and news items. The system is only as good as the information provided by each group. Group representatives should watch for their annual ACA information renewal forms soon and should correct any outdated information. While not required, don't forget to join ACA or renew your membership too! 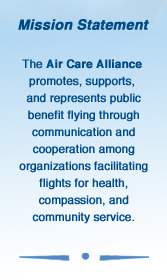 Your group's partnership with the Air Care Alliance is essential for us to help you and all those we all serve.